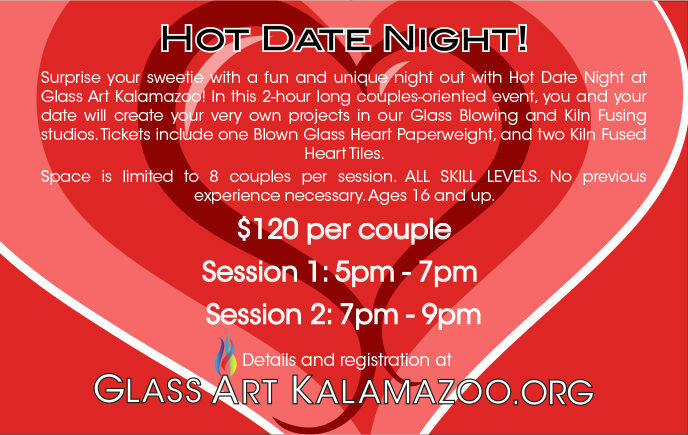 In this 2-hour long couples-oriented event, you and your date will create your very own projects in our Glass Blowing and Kiln Fusing studios. Wine and snacks will be provided (21 and up). Tickets are $120 per couple and include one Blown Glass Heart Paperweight that you make together, and two Kiln Fused Glass Tiles.